Dicromat salt analysers, available from Arrow Scientific , provide food processors with a rapid method to monitor levels of salt in food products. The Dicromat allows product monitoring in quality control laboratories or "beside-the-line" product monitoring for dynamic quality assessment. Frequent testing will enable a consistent quality product to be produced with sufficient salt for its taste and preservation, but minimise the risk of excessive salt and subsequent waste of product or consumer dissatisfaction. 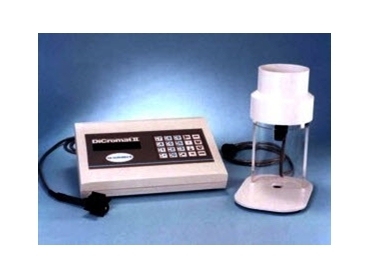 These salt analysers can also assure proper blending of a product. When mixed well, the salt is distributed evenly and the Dicromat can be used as a guide to uniformity. Dicromat is calibrated for sodium chloride using standard reference Mohr, or Volhard, chemical colorometric or potentiometric titration methods. The calibration eliminates the effect of other conducting ions in the solution and is retained in memory as a set point, all of which can be easily recalled with a few keystrokes by the operator.